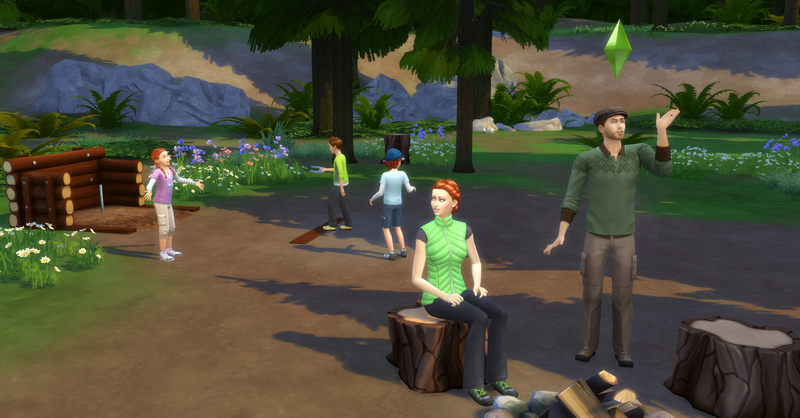 Everyone heads to bed early, the Family is excited to head out for Granite Falls National Park ! Everyone is ready bright and early at 7am to get into the car for the trip to the campground. 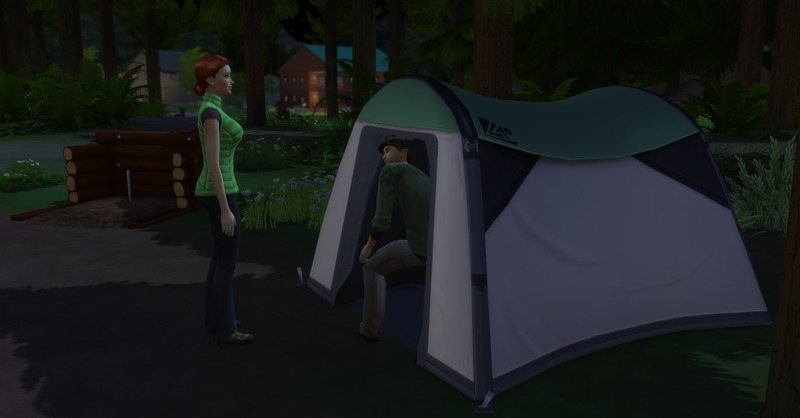 Once they arrived, everyone got acquainted with their campground. The boys check out the horseshoe pit and Deaglan doesn’t look too pleased with the bugs here. 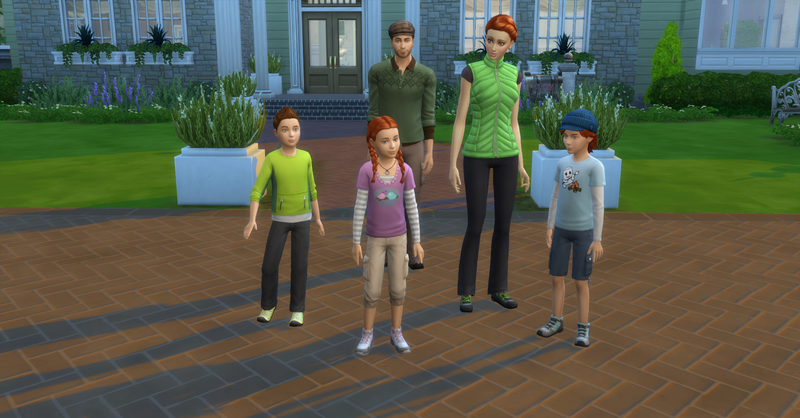 After settling in the family family decides to check out the different activities. 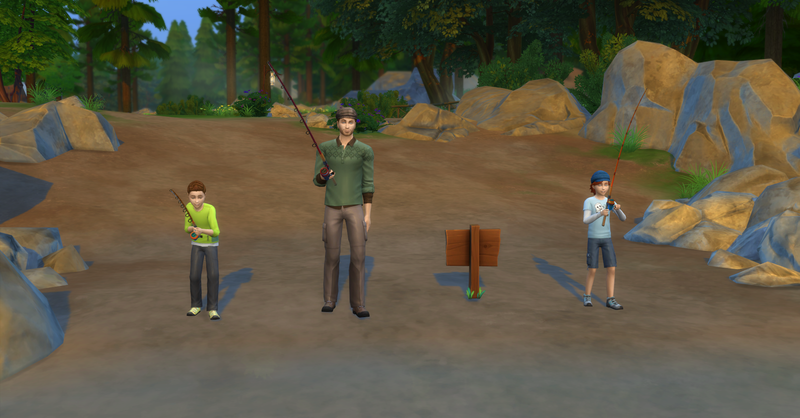 The boys and Deaglan head off to the stream to fish and Siobhan and Arwen stay at the campsite. 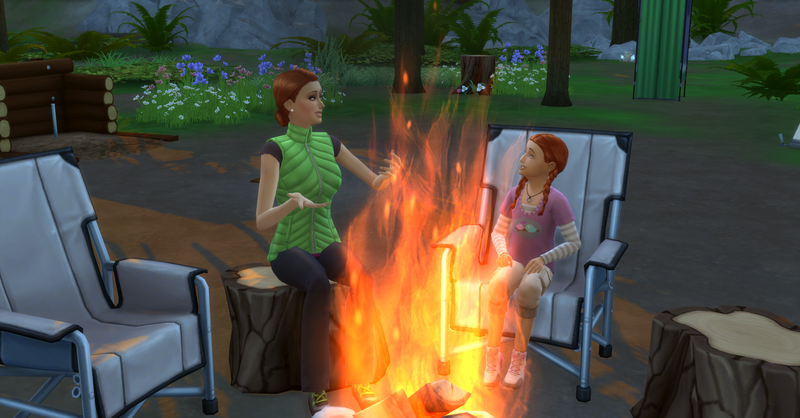 Siobhan and Arwen have some girl time around the campfire. Arwen really looks like her Mum here, she has her lips and eyebrows I think. This vacation is a wonderful Mother’s Day gift to Siobhan. The boys (and man) check out this fishing spot to see what’s biting. 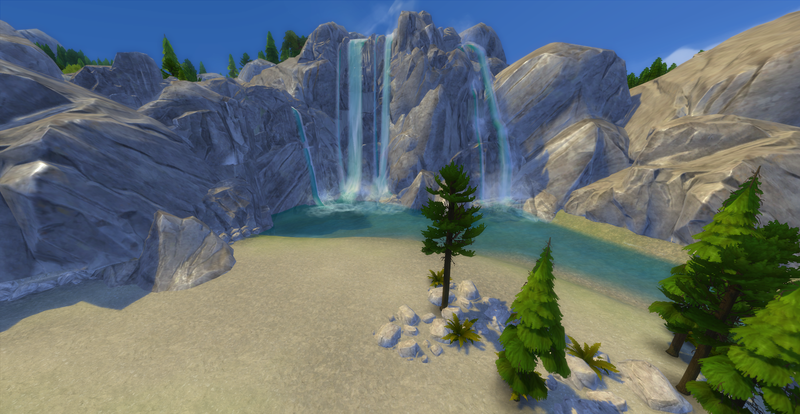 This is the fishing spot they have chosen to try out and they all agree that Granite Falls is a beautiful place! 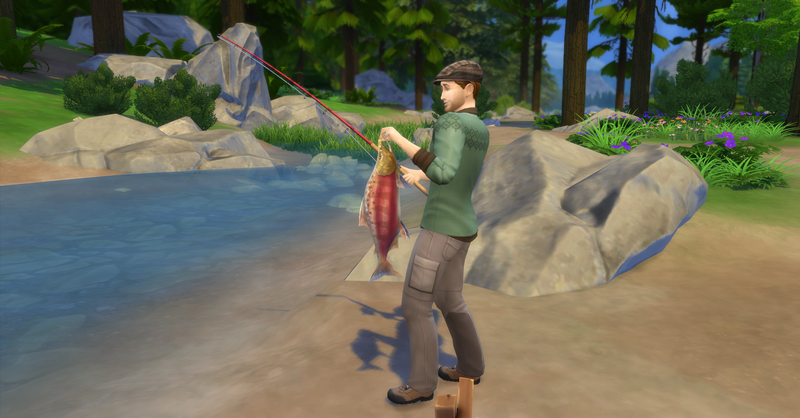 Alroy was the first one to catch a fish! Alroy caught another fish, this one was a salmon big enough for dinner! 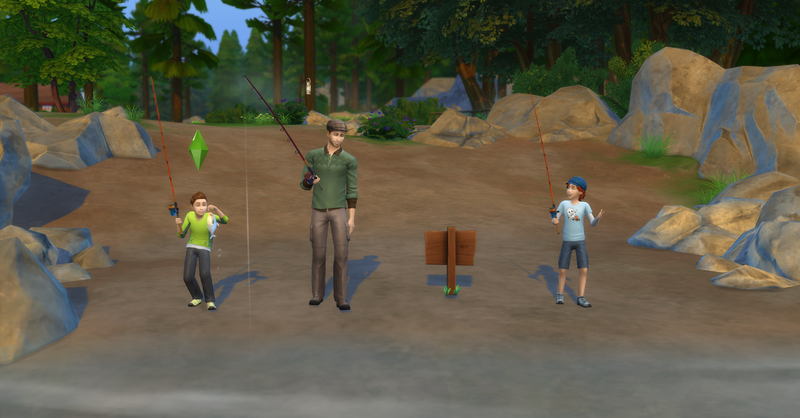 Poor Aiden didn’t catch a single fish. 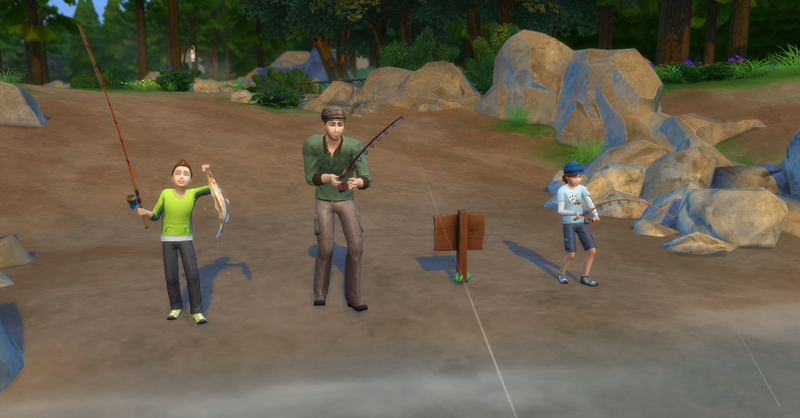 The boys and Deaglan head back to the campsite right after Alroy catches the salmon in order to preserve its freshness. 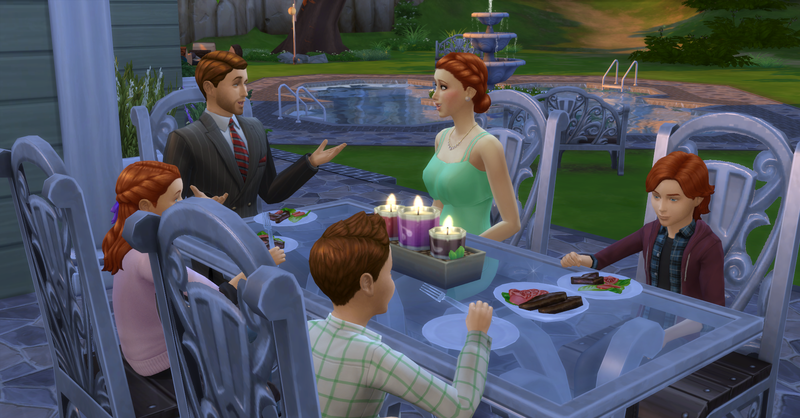 While Siobhan cooks the salmon Alroy caught, Deaglan and the triplets played a game of cards. Aiden looks pretty smug about his hand! Siobhan grills Alroy’s lovey salmon right away because the fish will not fit into the cooler whole. 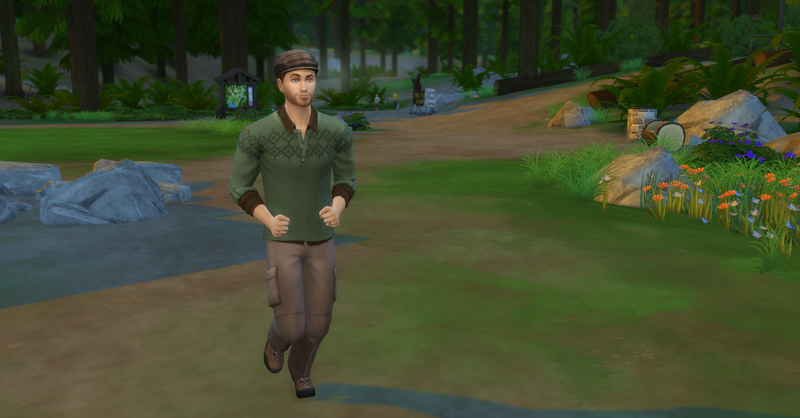 After that since there is still time in the day, they decide to go explore the national forest area. Deaglan wants to fish some more, he is secretly embarrassed that his son had caught a bigger fish than he did, Alroy wants to check out the Visitors Center, which houses lots of local specimens and artifacts. Aiden is hoping to maybe see a bear? 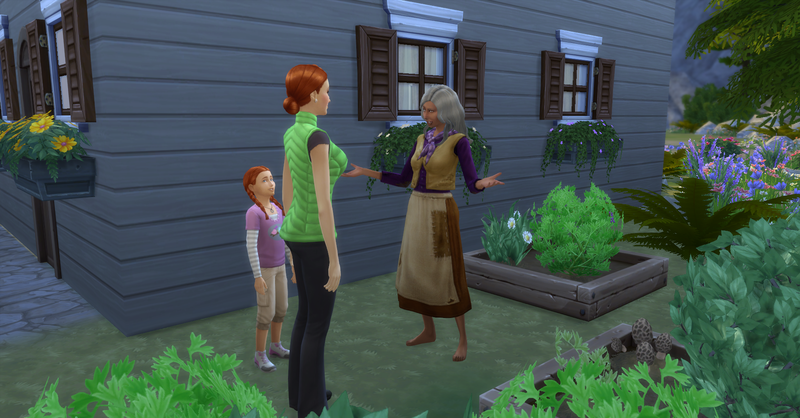 And Siobhan and Arwen are hoping to find the hermit and learn some gardening tips, Siobhan hopes she will learn her secret fertilizer recipe! 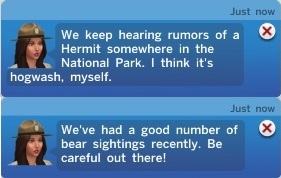 Siobhan had been talking to the Park Ranger earlier and had heard a few interesting pieces of information. 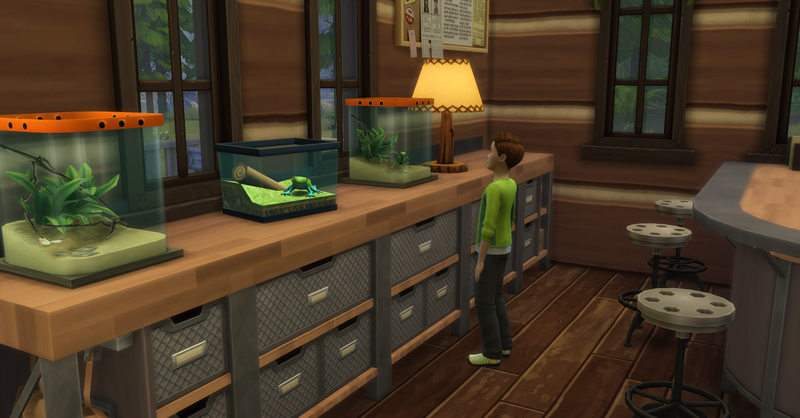 Alroy walks to the Visitors Center and checks out the bugs on display. Deaglan finally catches a fish that was big enough to be proud of. 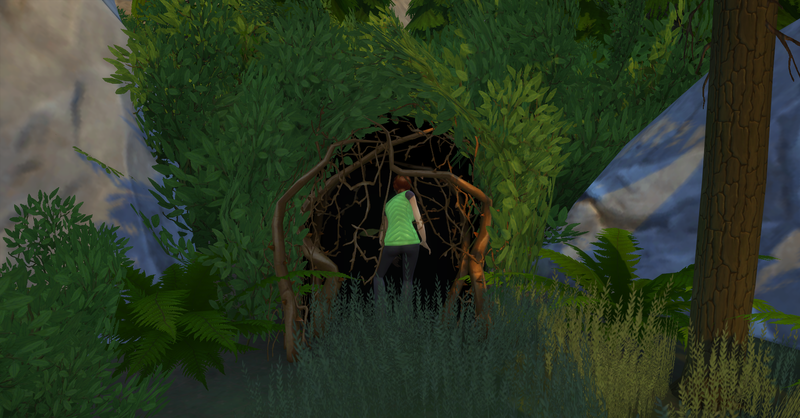 Meanwhile, Siobhan and Arwen search for the Hermit, maybe its through this bramble patch… after a perilous journey she and Arwen arrive in the Deep Woods where the hermit lives. 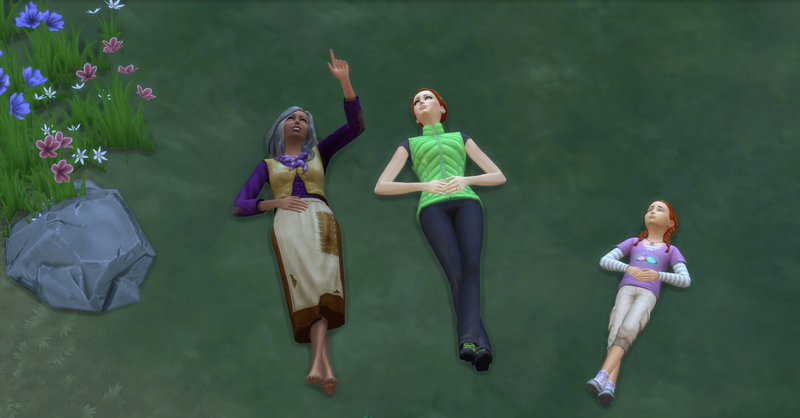 The Hermit invites Siobhan and Arwen to cloud gaze with her, and she points out animal and plant shapes. She then shares her secret Organic Fertilizer Recipe with Siobhan! 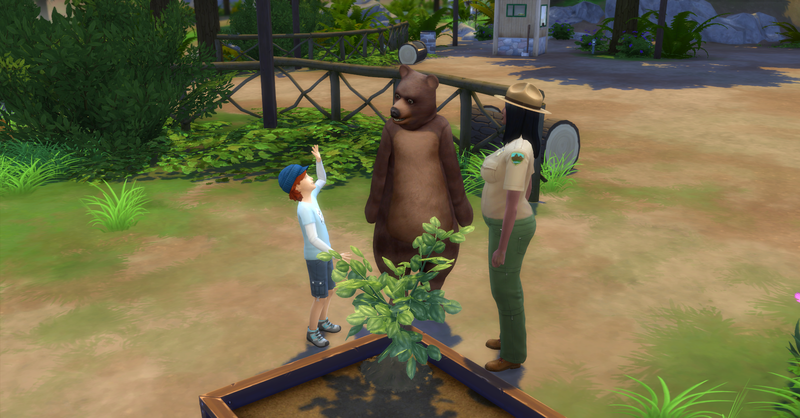 Aiden gets to meets a bear! 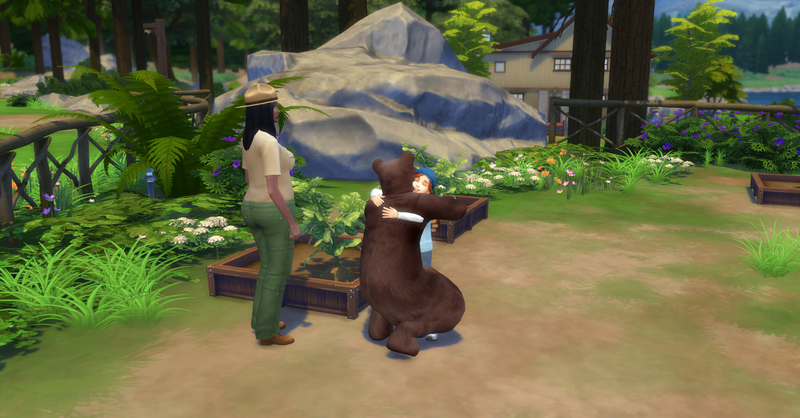 And gets a bear hug! Once it gets to be amost dinner time and the sun is setting the Family heads back to the campground for a dinner of grilled salmon, after everyone gathers around the campfire. After dinner the Family enjoys the bonfire, while the children roast marshmallows! 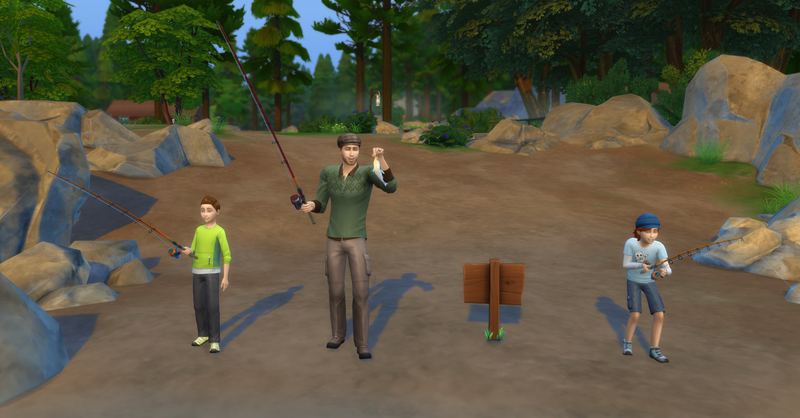 Alroy immediately answers “I caught a huge fish! I swear it was like 3 feet long! Wasn’t it Mum! Wasn’t it! 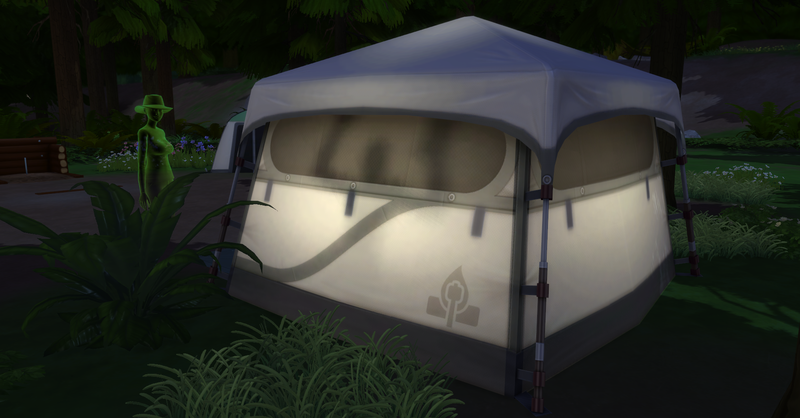 After they hang out for a while around the campfire roasting marshmallows and having great time, Deaglan brings the triplets in to the tent to tell them a bed time story! 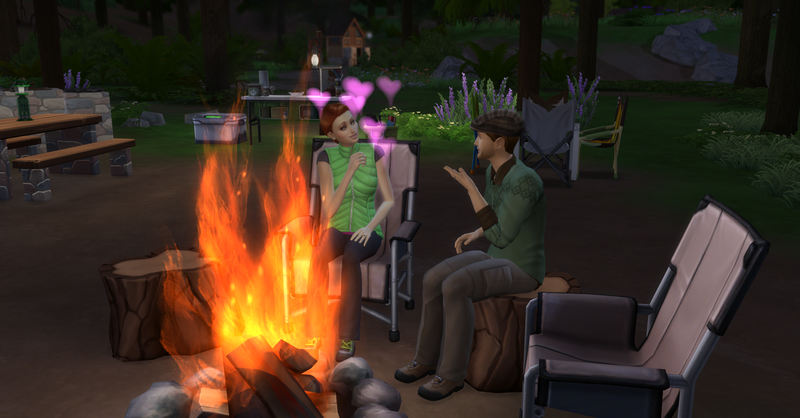 Now that the triplets are asleep and things get a little heated over the fire. Deaglan invites Siobhan in for a little woohoo. 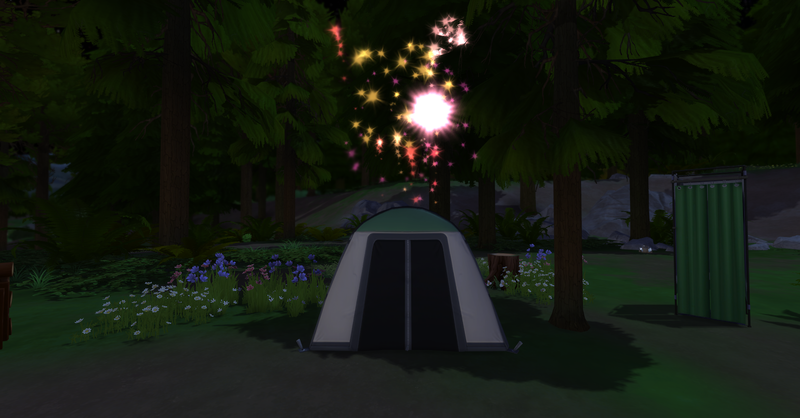 The next morning was Sunday and marked the end of their vacation in Granite Falls. The Family packs up and heads home, little do they know there is a very different kind of surprise waiting for them at home! What a fun family vacation! You got great pictures, too! 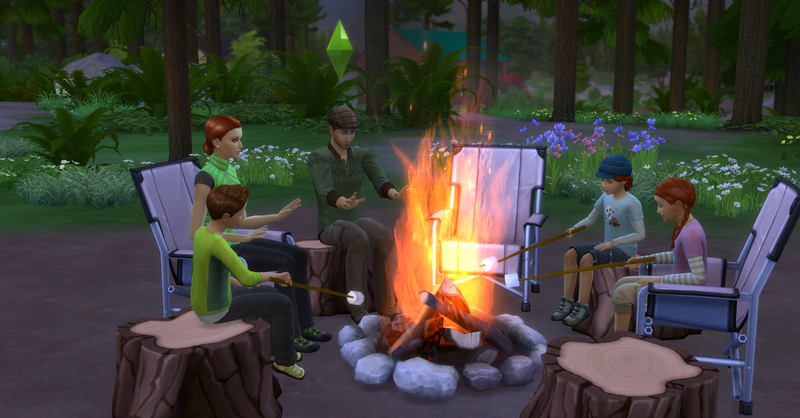 I love that picture of all of them around the campfire at the end, and Deaglan’s second salmon was really impressive! 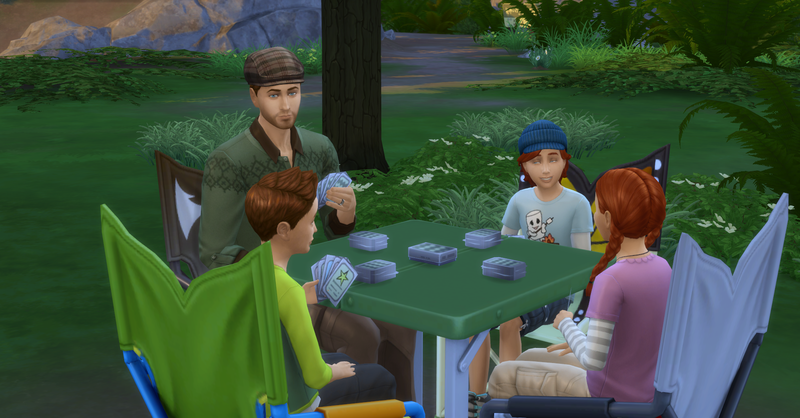 Also, Aiden’s expression playing cards was funny, and he would be the one to meet a bear and not be afraid! Thanks so much! They are a really fun and unique family.